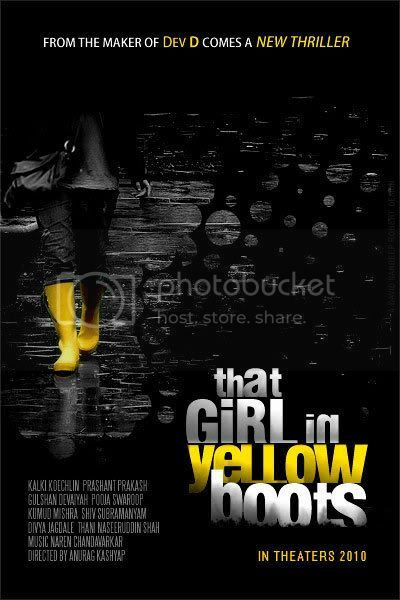 Anurag Kashyap is back with his next flick, the movie has a rather odd title, That Girl In Yellow Boots and is a story of the quest of a girl for her father. In the journey of searching for her father, the girl is forced to work in a massage parlor and comes across many adversities. That Girl In Yellow Boots staas Anurag’s sweetheart Kalki in the lead. Kalki was earlier seen in Anurag Kashyap’s Dev D. Apart from Kalki the movie also stars Naseeruddin Shah..
That Girl In Yellow Boots is written by Kalki herself, has already received critical acclaim and will be screened at the forthcoming Venice Film Festival and Toronto International Film Festival next month. Share Video : That Girl In Yellow Boots Theatrical Trailer with your friends on Facebook.